Manufacturer of a wide range of products which include pp crates. PP CRATES are made for various application like multiple stacking, carrying in shop floor small parts for assembly line. 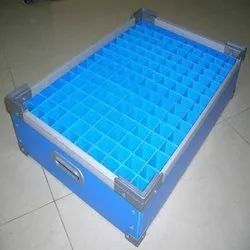 Very durable and long life these crates are a must for automotive and other engineering industries.